You may have heard it, or not, that Booker was purchased by MindBodyOnline a few weeks ago, to be exact in March 2018, for a whopping $150 million. This is a considerable amount, but when taking into consideration that investors had already poured roughly $90 million into the company since creation in 2010, the yield may not been as great as they had wished for. Investors tend to seek investments returning 5-10 times their equity, which certainly was not the case here. Over the past 8 years Booker did a good job and managed to attract some 10.000 businesses to use their solution which MindBodyOnline will now probably be adding to their marketplace according to news. It is however likely that there will be some uproar in the user group of Booker given this development, especially since MindBodyOnline has not been getting great reviews for their product, with users citing high costs, low level of service and misinterpretation of transaction fees. In the coming months we will see if the Booker users will be transferred to the MindBodyOnline platform, or their payment processing, or both but there will likely be some changes. 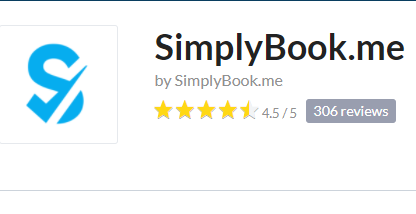 SimplyBook.me is an extensive, ever growing solution with raving reviews. The solution is extremely flexible and suits companies in the beauty and health industry perfectly as well as others, whether it is embassies, universities, Fortune 500 companies or escape rooms. 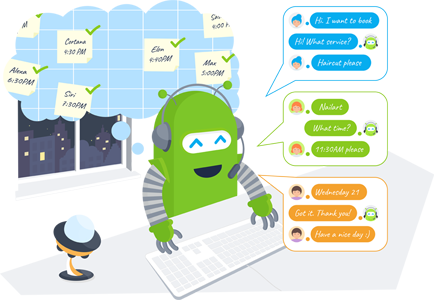 There are constantly being added new features with the latest one being a personal voice bot assistant, called iBOB, who answers the telephone night and day and schedules the appointments by talking to the client. No pushing of buttons to select things. Just to be clear, iBOB is only a tiny fraction of all that SimplyBook.me has to offer. The users can also benefit from using the social promotion system, reminder system, come back to book system for clients that may be forgetting to come back, a service add-on system allowing you to sell service enhancements that increase revenues, and product sales system where products related to service will be offered to clients during check-out. The goal of SimplyBook.me is to make the business of their users blossom, and for that reason the SimplyBook.me live assistance is online almost 24 hours all workdays, ready to answer questions quickly and help you to set up the system. iBOB answers your phone so you don’t have to, he only gives it to you by request of client or if he does not understand the client. Being feature rich and ever evolving is not the only advantage of SimplyBook.me, the pricing is also considerably lower than that of Booker and MindBodyOnline, in addition to that the user can select from tens of different payment processors with no transaction fees deducted by SimplyBook.me. Booker pricing plan may be steep for small businesses and if the report in bizjournals is correct where it says that booker has 10.000 businesses and 25 million USD in revenues, each user is in fact paying over $200 per month on the average. 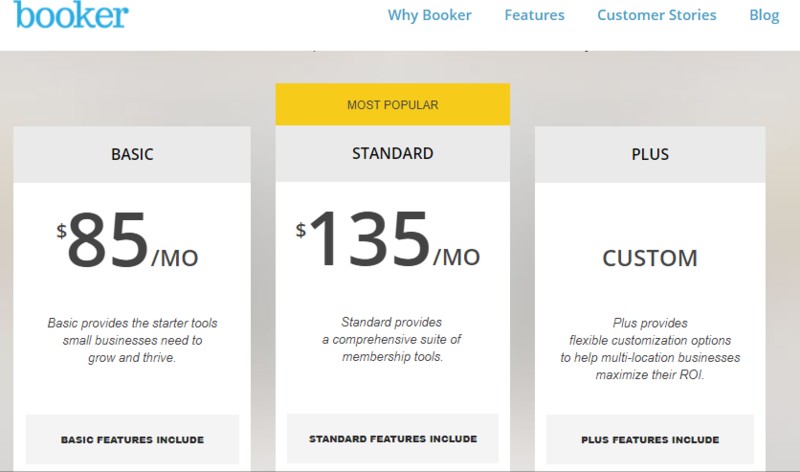 SimplyBook.me pricing plan is moderate and suits small and larger businesses. Since there are no transaction fees, SimplyBook.me works equally well through out the world. The prices shown are in Euros but in dollars premium plan in USD is $59.90, Standard is $29.90, Basic is $9.90. With SimplyBook.me you get a beautiful booking site if you do not have your own company website, and you can also get a widget to be inserted into your existing site that can be modified to reflect your company’s and site’s branding. The booking sites and widgets are included in all plans! 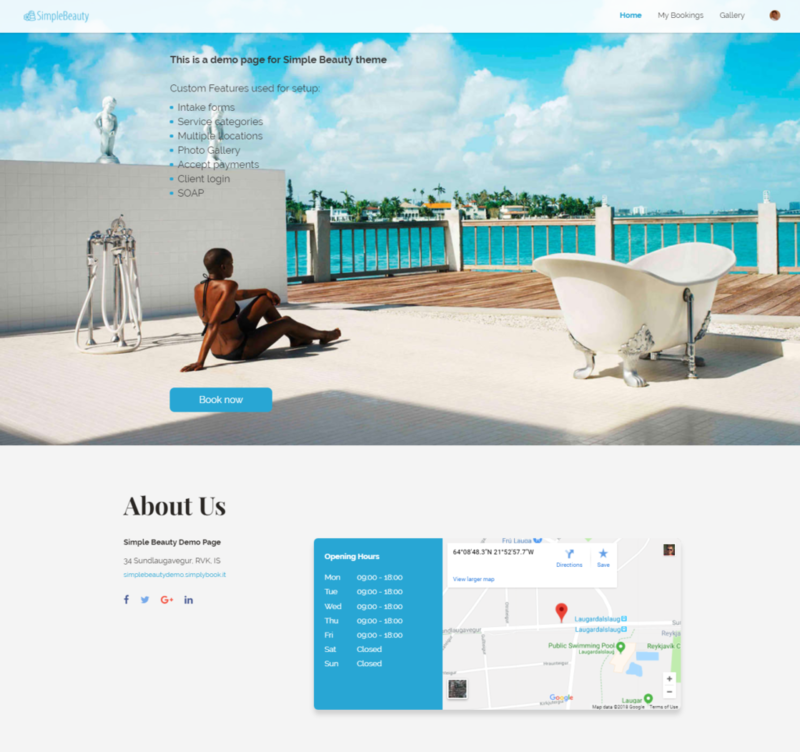 Below is an example of an booking site from SimplyBook.me but you can select from many other beautiful themes as well. This is a booking site example from SimplyBook.me. You can set your own background, upload image gallery, connect instagram account for automatic updates of images, display clients reviews and so much more. An example of booking page you get at Booker is shown below.